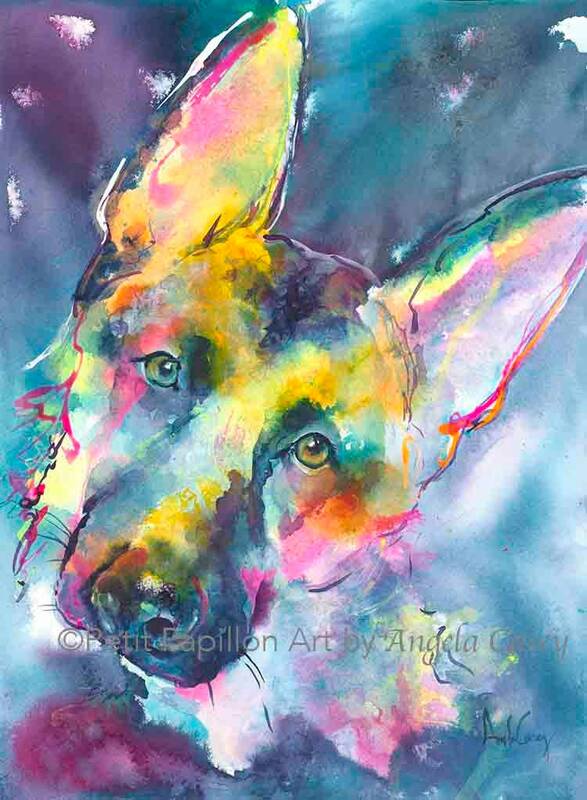 🐾 "GSD Power" is an archival fine art giclee print from my original ink & watercolor painting. Intelligent, loyal and loving...with a goofy side...there is no job this amazing herding breed can't do. BUT, his absolute favorite assignment is to be by his person's side at all times. I've shared my life with several wonderful GSDs and they will always hold a special place in my heart. 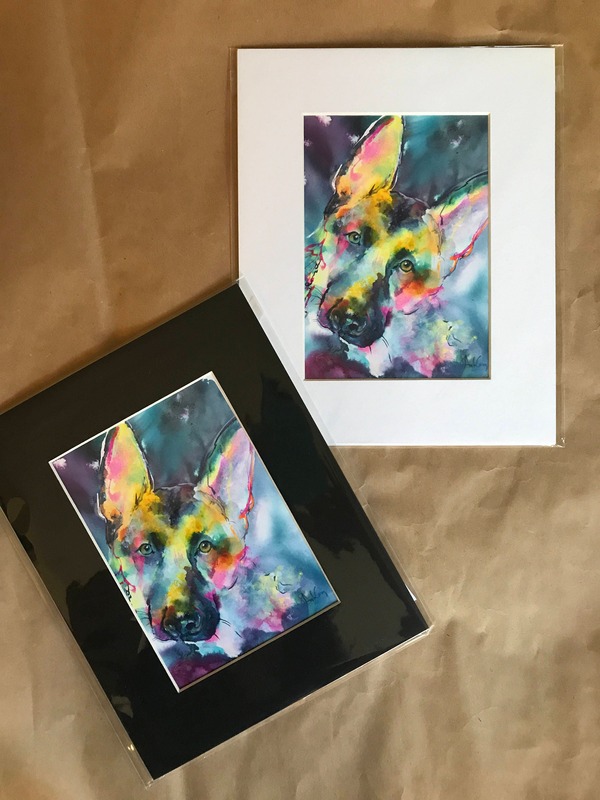 👉👉PLEASE NOTE: 8x10 comes already matted (white or black), ready for an 8x10 frame! Image size is approximately 5x7. See last photo above for an example , taken in natural light. 11x14 comes already matted (black mat) ready for an 11x14 standard frame. Image size is approximately 9x12. 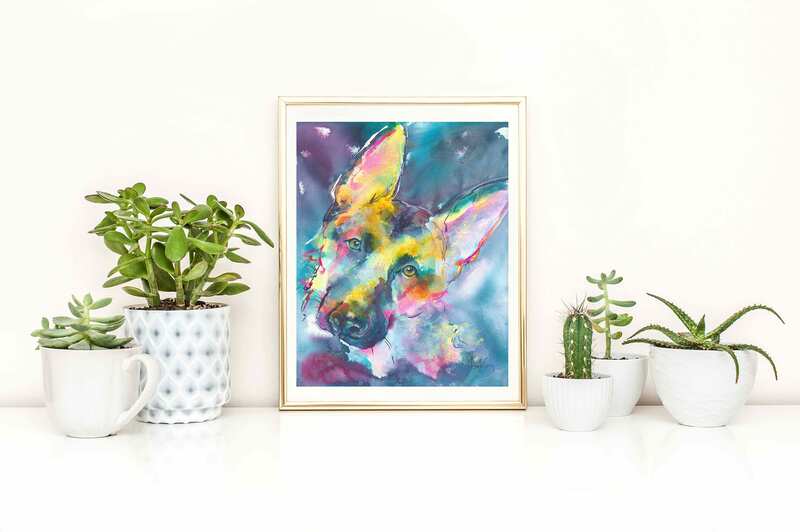 💟all other sizes come unmatted and unframed with a small white border.